Another morning, another day. She awakes and rises hoping that the pain would have faded away during the night. Nonetheless, the ache is still there; it still resides within her heart and within her soul. No more tears, she had shed enough tears to the point that she could not spill any more. But the pain was still there in her heart. It was as if a dagger resided in her soul, while it pierces her heart. She wishes that she could tap her heart and screw a spigot on, just to let the pain flow to relieve her from its grasp. In reality she knows that just cannot be done; so she’ll just deal with the anguish. Slowly she rolls out of bed, while her mind revisits the painful events. Over and over again, she lives those moments all the while asking herself—what did I do to deserve this? Once her mind plays out the events, she is left with despair that eventually turns to anger. Throughout the day, the scene is played time and again; like a movie that never ends. She wonders why she is torturing herself in such a manner. The old saying ‘time will heal’ is bull in her mind. Whom ever came up with that saying, never went through the heartache she is going through. They have never endured the suffering, the misery, and the bitterness that is flowing throughout her body. Somewhere in her psyche, she knows that she’ll get through it. Her very essence looks for ways to deal with the discomfort. Out of the corner of her eye, she sees her guitar sitting there in the nook of her room. Her mind doesn’t want to go there, but her orenda leads the way. Life is not a journey to a certain spiritual destination. Life is about the journey of personal healing and the natural exploration of mending our wounded souls. Those of us who have done the healing work, cannot force the spiritual mending upon others. We can only simply share our experiences through our gifts. When we walk our truths filled with healing, we can lead by our actions. In 2006, Lacy J. Dalton’s actions brought her to release her album The Last Wild Place Anthology. The album was Lacy’s introduction, to the fans, her true musical medium of healing music. The seventeen cut album featured five of her well known songs mixed with a collection of twelve new songs, that are quite intriguing with their soul searching and healing resonance. The Last Wild Place earned Lacy several Spirit Awards; including President’s Choice Award for best well written song with “Boundless Skies” and the prestigious Pete Huttlinger Spirit Award For Music Excellence. 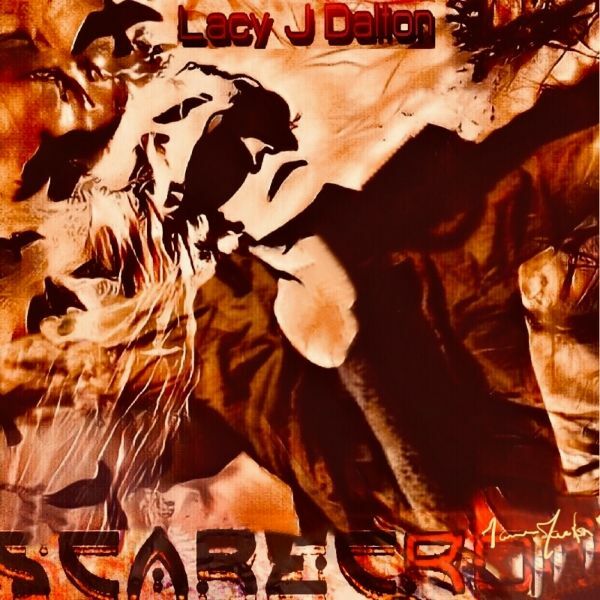 Ms. Dalton supervenes this award winning album with a brand new EP called Scarecrow. This album is being launched as a GoFundMe project to help pay for the production and artistic process. Interesting parties can Click Here for more information and to help share this form of healing. In my twenty-six plus years in the music industry, I have never heard or seen such a extraordinary collection of songs. This unprecedented project contains four songs that take the listener on a journey of the human resources of love, gratitude, acknowledgement, and validation. This page requires you to log in to read. You may obtain a log in code with a paid subscription to Strictly Country. Or you can Advertise on this page to open it to the public!